This song/video more or less takes the form of a musical trip report for a hike I did into Hall Canyon, located in the Panamint Range along the western border of Death Valley National Park. The route follows an old road which climbs steeply over the ridge between Jail and Hall Canyons. In the past I was able to drive the road, but the Park Service and/or the BLM has closed the road for the purpose of "wilderness restoration." This is quite unfortunate for a number of reasons, but the focus of this quick blurb is supposed to be the flowers and so I'll refrain from ranting and get to the flowers. First of all, the Panamint daisies, the area is famous for, were in bloom with their big sunflower-like flowers prominently displayed. Also present were lilac sunbonnet, beardtongue, various species of evening primrose, rabbitbush, creosote, and several other common plants. 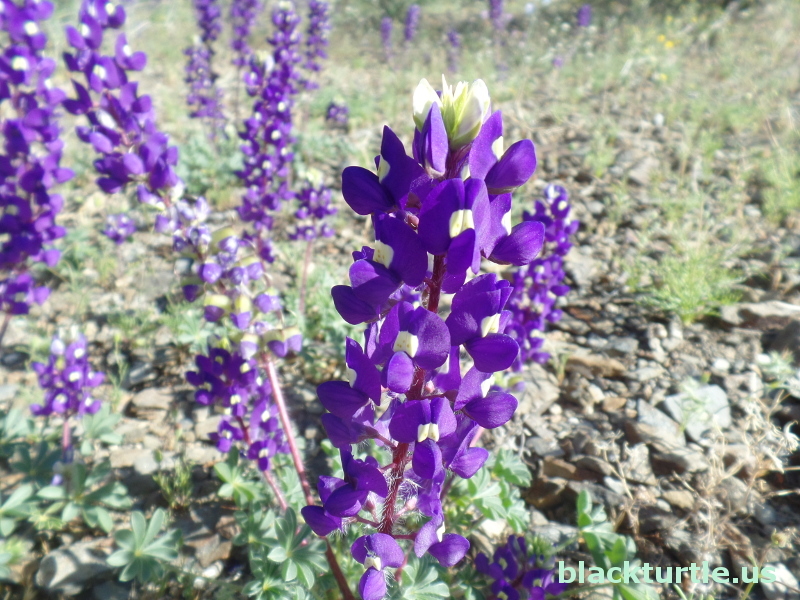 However, most impressive were the thousands of lupines proudly displaying their dark purple flowers. More pics from the hike!